In the city of South Ashburnham, Massachusetts on the night of January 25, 1967, one of the most celebrated cases of UFO abduction began. Betty Andreasson was working in her kitchen while her seven children, mother, and father were in the living room. Shortly after 6:30, the lights in the house briefly blinked. Immediately thereafter, a reddish light began to beam through the kitchen window. The sudden darkness in the house set the kids nerves on edge, and Betty ran to comfort them. Her father ran into the kitchen to peer out the window, and find the source of the unusual light. To his utter shock, he saw five odd-looking beings coming toward the house with a hopping motion! Before he could regain his composure, he saw the beings walk right through the wooden door! What happened next would test the imagination and strength of even an open-minded, adventurous person. The entire family was suddenly put into a state of suspended animation. One of the creatures went to Betty's father, while one of the other four began to make telepathic communication with Betty. One of the group seemed to be a leader of sorts. He was about five-feet tall. The other four appeared to be about a foot shorter. All of the beings had a pear-shaped head, with wide eyes, and small ears and noses. Their mouths were only slits, and never moved, though they were able to communicate through their minds. The beings wore a type of coverall, blue in color, with a wide belt. There also was a logo of a bird on their sleeves. The hands only had three fingers, and they wore boots. The creatures did not move as a human, but floated as they went. Betty would later relate that, though she was frightened, she felt a sense of calm, even friendship toward the beings. The aliens were holding Betty's children in a frozen state of consciousness, but when Betty showed concern for them, the aliens released her 11-year-old daughter, to assure her the children were not being harmed. Betty was taken by the aliens outside to a waiting craft which rested on the side of a sloping back yard. 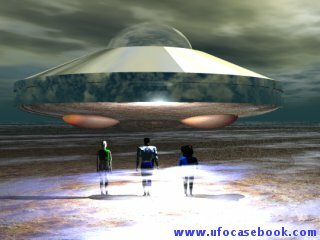 The craft was estimated to be about 20 feet in diameter, in the classic UFO shape. Betty believes that after she was aboard the craft, it joined a "mother" craft, where she underwent a physical examination, and also was subjected to the effects of strange equipment. After this, she was given a type of bizarre test, which caused her pain at first, but resulted in a kind of religious experience. Approximately four hours later, she was returned to her home by two of her captors. When she arrived, her entire family was still in a state of suspended animation. One of the beings had stayed in her house, evidently to watch the other family members. After releasing the family from the trancelike state, the aliens left. Betty would later state that the aliens had hypnotized her to not recall any of her experience until a designated time to be determined later. She was able to recall only certain things at the time of her experience; the power outage, the red light through the kitchen window, and the aliens entering the house. Before this bizarre happening, Betty had little or no knowledge of UFO folklore, and being a devoted Christian, she believed that the abduction had a religious meaning. It would be later until she began to view the abduction as alien in nature. Eight years later Betty answered an ad from Dr. J. Allen Hynek, who was soliciting abduction experiences from the general public. Her letter was dismissed at the time, because of its unusual details, and it would be January 1977, before her story would be fully investigated. The investigative team assigned to the Andreasson case included a solar physicist, and electronics engineer, an aerospace engineer, a telecommunications specialist, and a UFO investigator. The service of a hypnotist, and a medical doctor trained in psychiatry were also used. Betty's case involved twelve months of investigation. She was given a character-reference check, two lie-detector tests, a psychiatric review, and an excruciating fourteen sessions of regressive hypnosis. The results of this inquiry were startling. Betty, along with her daughter, relived a detailed account of a UFO experience, agreeing on all basic aspects. The results were published in a 528 page account, which stated that Betty and her daughter were sane individuals, who sincerely believe all of the details given in their statements. 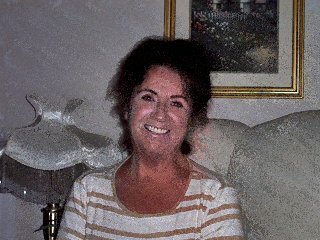 The Betty Andreasson abduction case is still unexplained today.